Watercolor, developed by The St Joe Company is a premier coastal, planned community of 1100+ homes and multifamily units clustered in a series of distinctive neighborhoods that maintains nearly 50% of the development for open space & preservation. 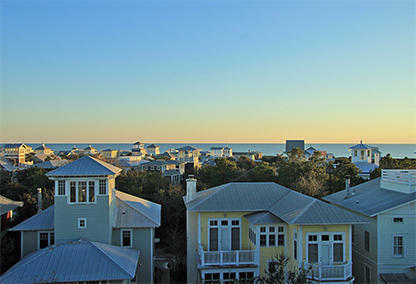 Established in 1999, Watercolor is comprised of 499 acres and 1500’ of gulf frontage. Development amenities include 6 pools, tennis and fitness centers, beach service, a 60 room luxury Gulf Front Inn and a town center with shops and restaurants. BOOKMARK YOUR DREAM WATERCOLOR BEACH HOME TODAY! 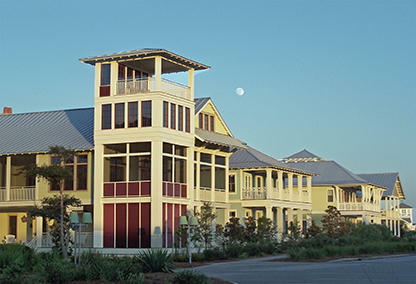 Construction of gulf front Watercolor homes for sale, condos, the Watercolor Inn and the Beach Club, were all purposefully placed well behind the area’s high coastal dunes, thus maintaining a greater protection of native plants and animals. Building farther back from the coastal dune areas not only helps preserve and protect the natural beauty of this special stretch of NW Florida coastline but also provides additional storm and surge protection for residents. 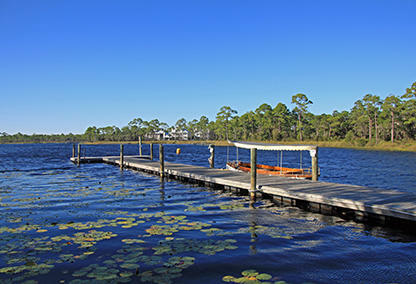 A portion of Watercolor homes for sale are found along the shores of Western Lake, one of Scenic 30A’s fifteen rare and unique Coastal Dune Lakes. When planning Watercolor, the developer went above and beyond regulatory requirements for the community by placing specific covenants to address and protect the environmentally sensitive areas surrounding the 220-acre lake. The architectural style of homes for sale in Watercolor, FL takes its influence from Old Florida Cottages as well as French Colonial, Dutch, English, Spanish and Southern styles. The community is also extraordinarily well provisioned with 6 pools, full beach service, and a Tennis Club with a pro-shop and 5 Har-Tru Courts. If it's a great workout you're looking for, Watercolor also boasts a fully equipped Fitness Center as well as 2+ miles of beautifully scenic walking, jogging or biking trails. Please feel free to contact us if you'd like more information on homes for sale in Watercolor, FL, or any of the other 30A beach communities. Davis Properties of Northwest Florida is your local 30A real estate team. The team's office is based on this beautiful coast; they'd love nothing better than to help you make a home here as well!